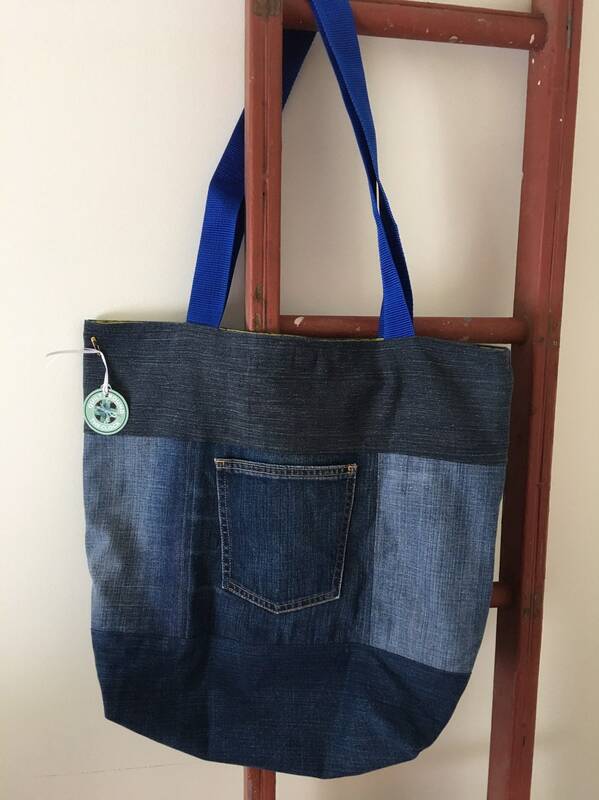 This denim tote bag is handmade from recycled denim jeans. 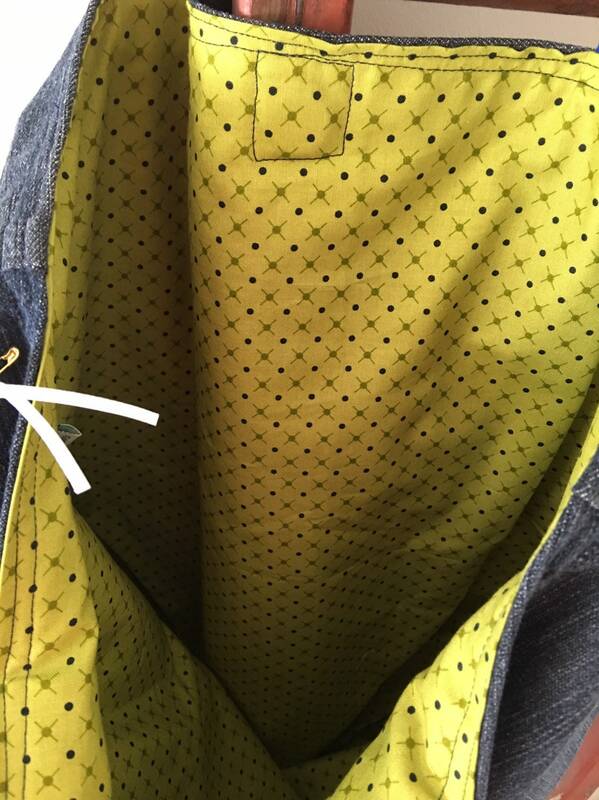 It is fully lined with 100% cotton. 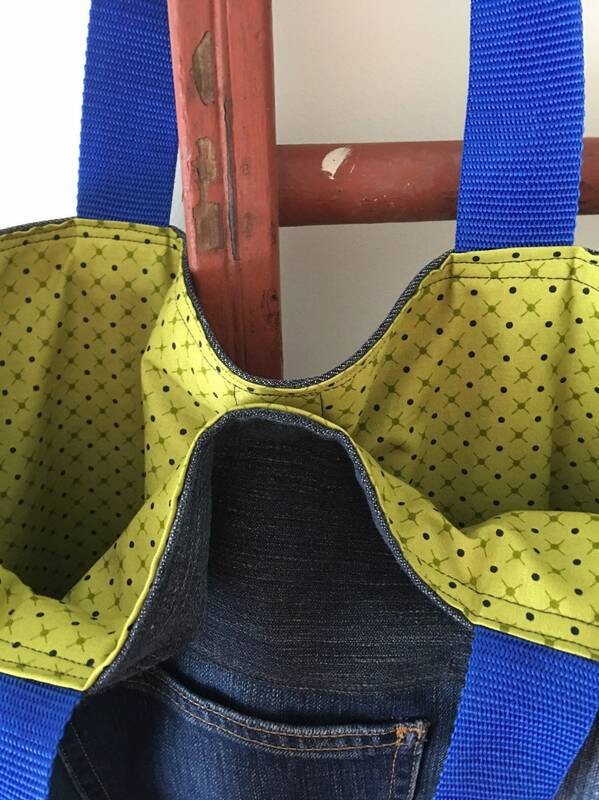 Featuring a front pocket, handles made from nylon and green lining fabric.